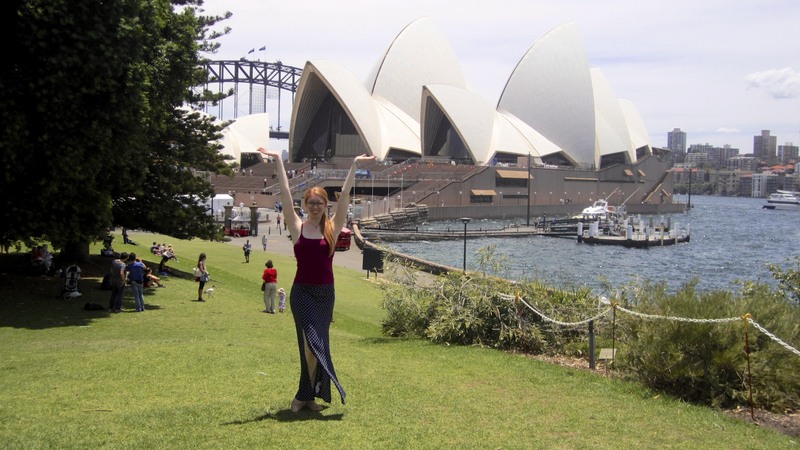 Since my Sample of Sydney post, I spent a few more fabulous days exploring the city. I wanted to share some of the other highlights. One of my fellow dancers and close friends had to sign off due to an injury. Luckily, she lived outside Sydney and was able to drive in to spend the day with us when we were in port. One such day, we invited our cast, some of the ice skaters, and a few other friends from the ship to join us for a potluck style picnic at the Botanic Gardens. We had an abundance of food, a frisbee to play with, and great company! It was one of my favorite afternoons in the city. We took the ferry from Sydney Harbor, right next to the ship, to Manly Beach. Between the ferry terminal and the beach were a number of cute shops and restaurants. The beach was beautiful. It was less crowded than Bondi, so we had space to play frisbee. Again. There was no shade to be found, so I unfortunately had to retire early. My poor, pale skin can only take so much sun! If I am able to return in the future, I hope to take advantage of the surfing lessons available! 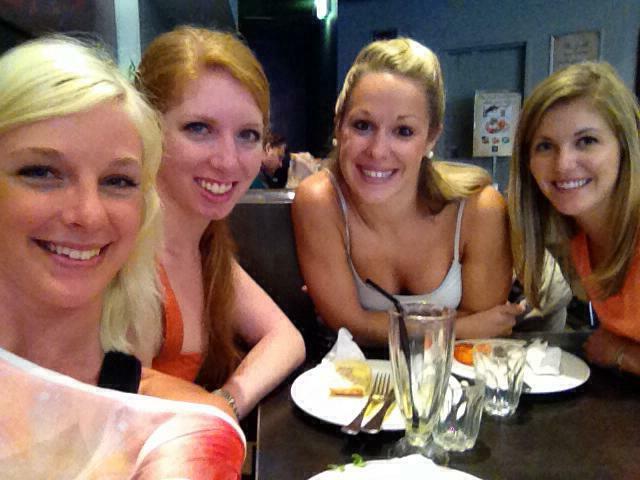 Our last day in Sydney, the remaining female dancers in the cast met our local friend and injured castmate for brunch. We had been to The Coffee Club two or three times already, and enjoyed it every time! The eggs benedict is amazing! We ended up sitting there for hours, catching up and laughing. It was a great setting for a friend date. I’ve also visited a Coffee Club in Noumea, New Caledonia! Obviously, I’m a fan. After brunch, we met up with a few other friends to grab a drink. We ended up passing through a few bars, and enjoyed a nice walk along the way. Our first stop was Jackson’s on George, an Irish pub with a patio in front and, best of all, wifi! Next, we attempted to go to Palmer & Co, a speakeasy that one of the guys accidentally stumbled across on a previous port day, but it was closed. We continued on to Hart’s Pub where we found a nice table outside and a nice pint of cider. Our last stop was a bit of a hike away, but is one of the oldest pubs in Sydney. We were seeking Lord Nelson, but ended up stopping nearby at the Hero of Waterloo. The bar was recently renovated, but is in a great area, full of character, and has a great selection on tap. 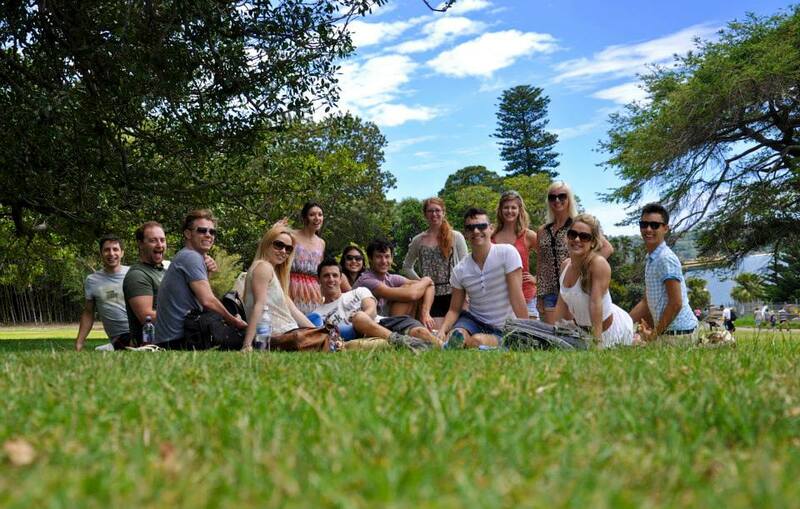 It was an awesome way to spend our last afternoon in Sydney! 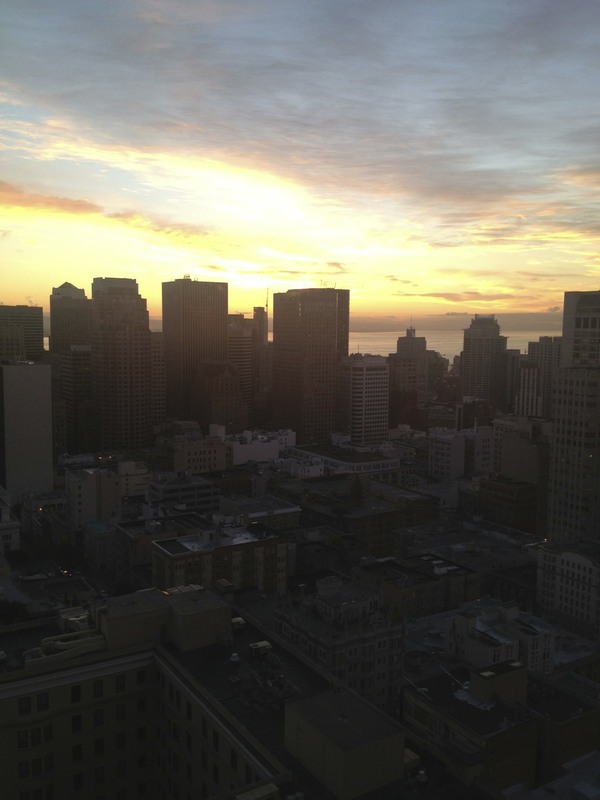 I’m going to miss this city, but am so glad I was able to have such wonderful experiences there! 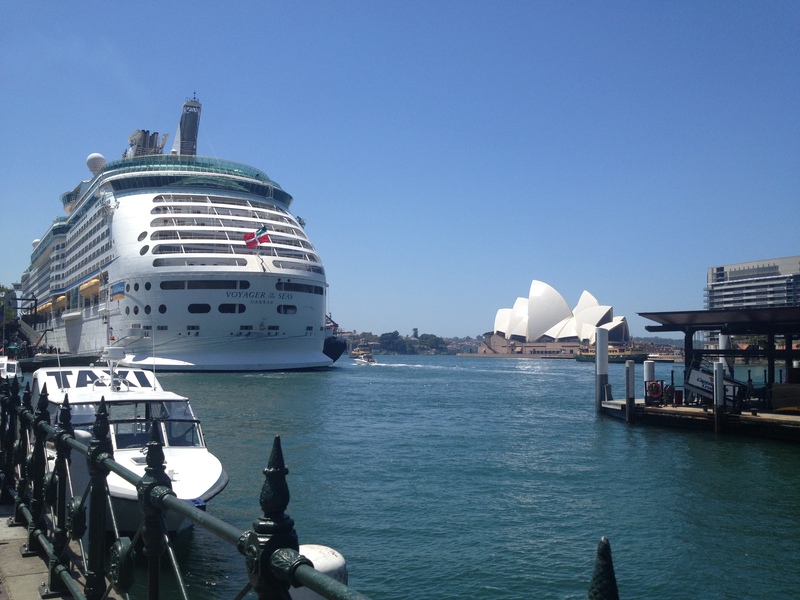 Since the Australian season began, we have started and ended each cruise in Sydney. I’ve already spent about 6 days in the city, and have loved every one of them! 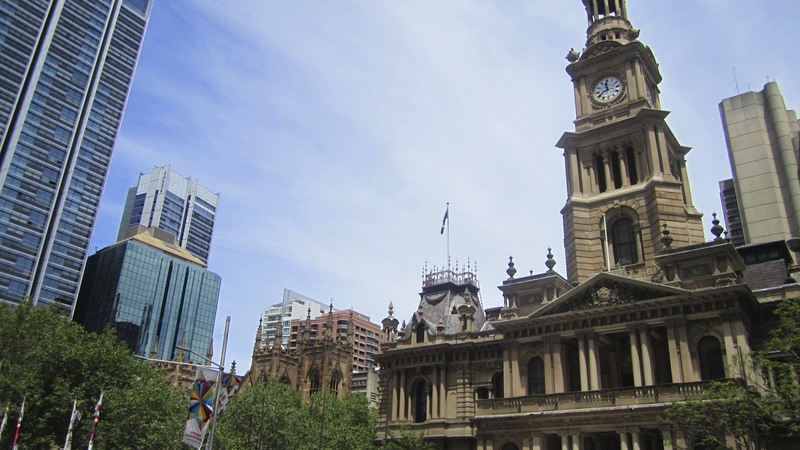 Here are some of my favorite places in Sydney thus far. 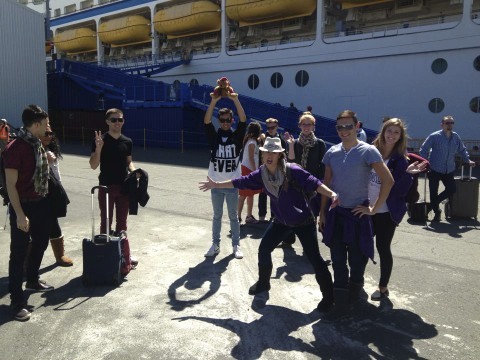 At the port in Sydney. Such a great location! One sunny day I joined a group of dancers, singers, and skaters to climb the bridge. 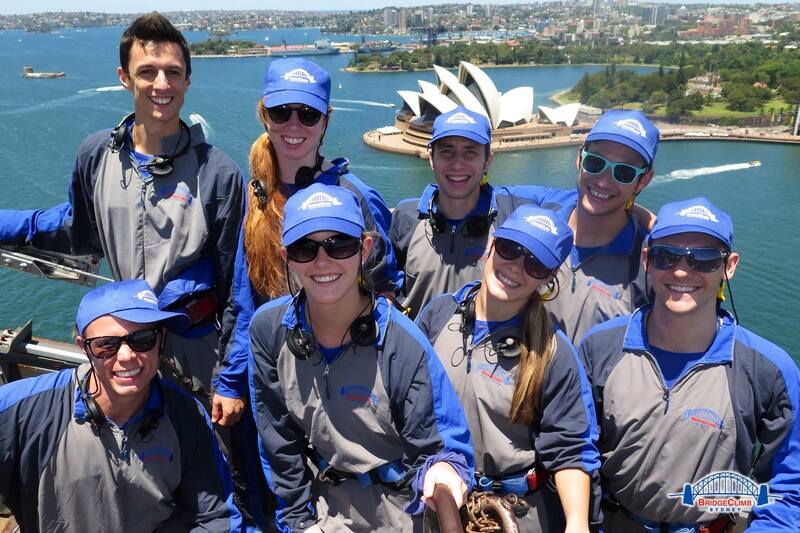 Before I got to Sydney, I thought the bridge climb would be just like walking across the Golden Gate Bridge. I was horribly wrong! In Sydney, you actually are able to climb a series of ladders to the top of the arch. We were connected to rails with a carabineer and walked up stairs to reach the center of the arch. 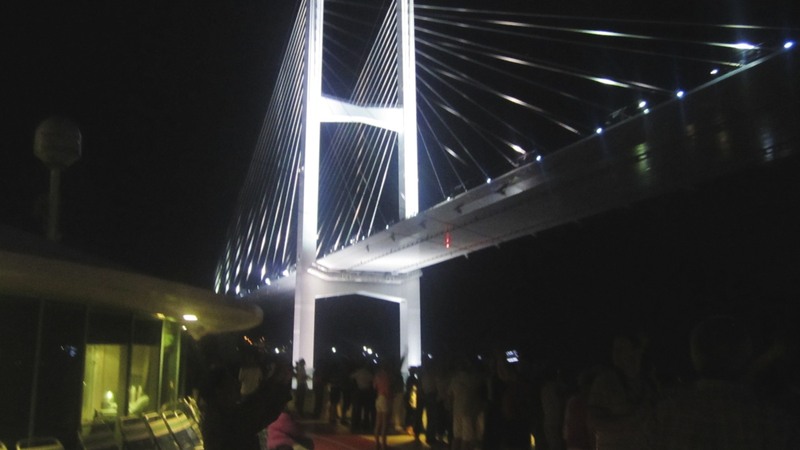 We walked across the top, over 8 lanes of traffic, and went down the other side. 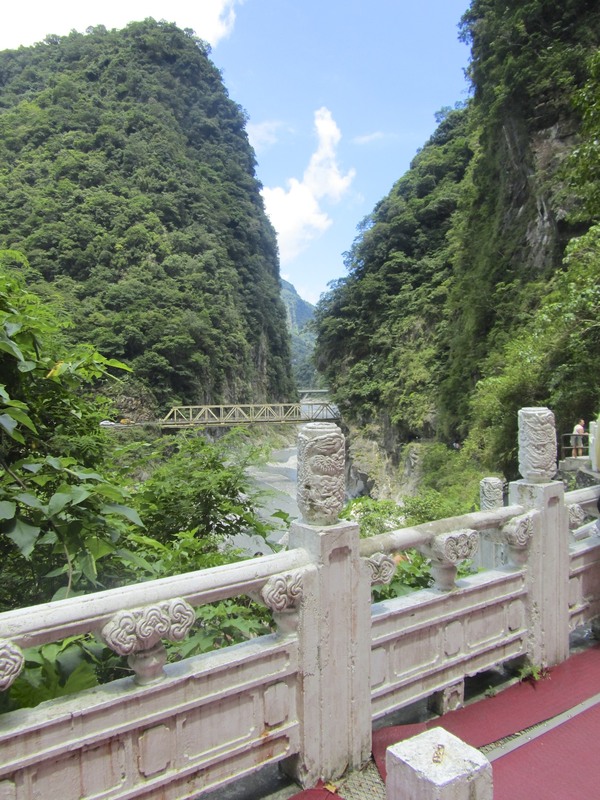 From the bridge, the views are stunning! 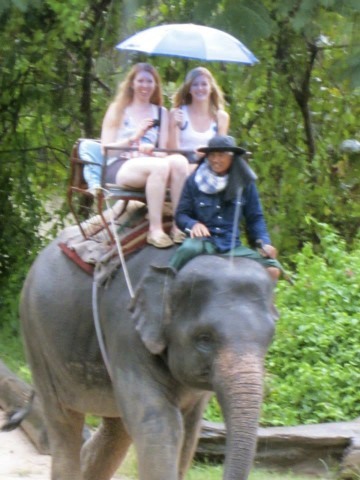 Our tour guide was very knowledgeable and pointed out attractions all over the city. The Sydney Opera House is the landmark of the city. We’ve been lucky enough to port across the harbor from the house, so I’ve seen it in rain and shine, from close up and far away. I’ve not yet taken a tour of the entire opera house, but I have walked through the lobby and spent much more than I should have at the gift shop. The Opera House is on the tip of a small peninsula. 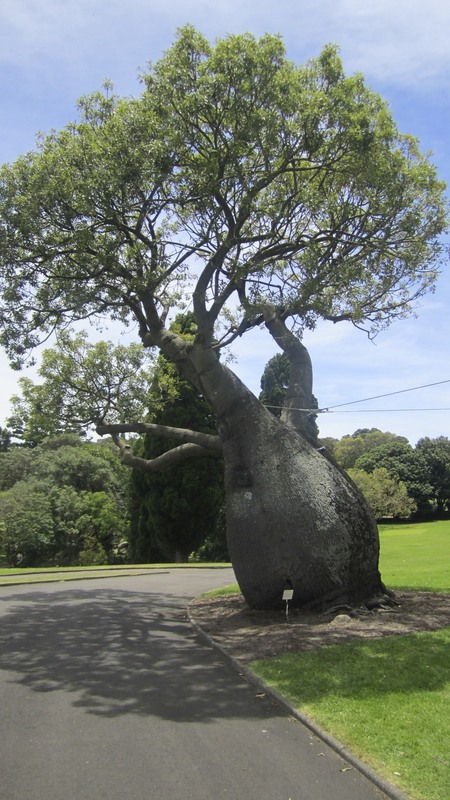 If you continue up the peninsula, you will find yourself in the botanic gardens. 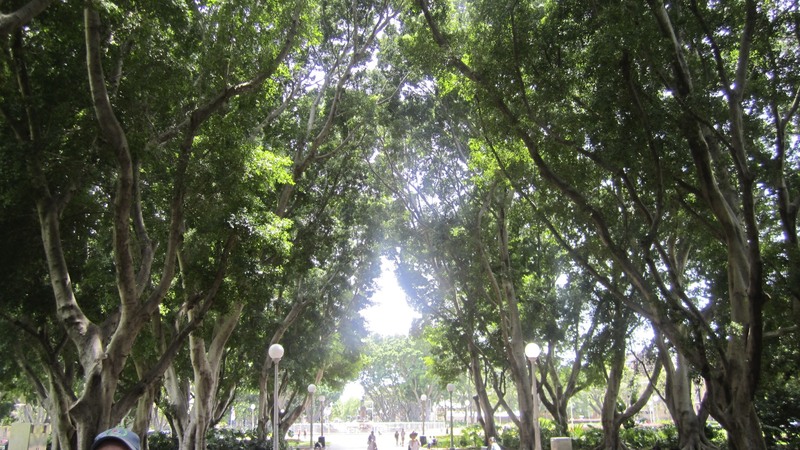 There are beautiful flowers and trees, excellent views of the city, and bizarre birds called ibises roaming around. It’s a lovely place for a stroll or a picnic. 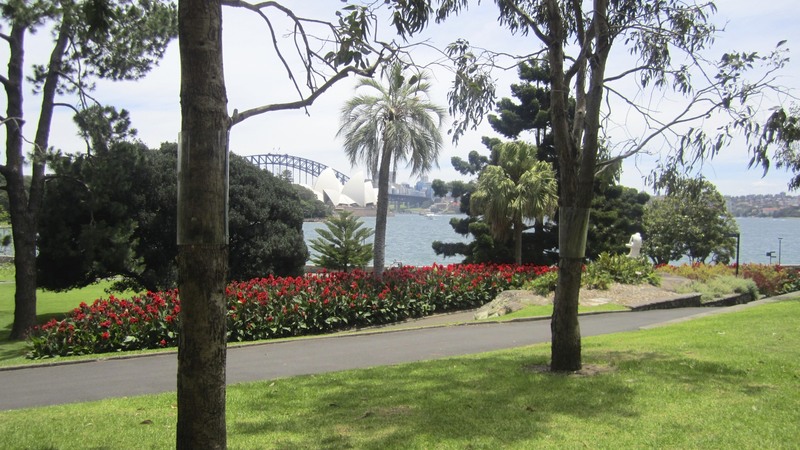 My first afternoon in Sydney, I had a little picnic in the park. 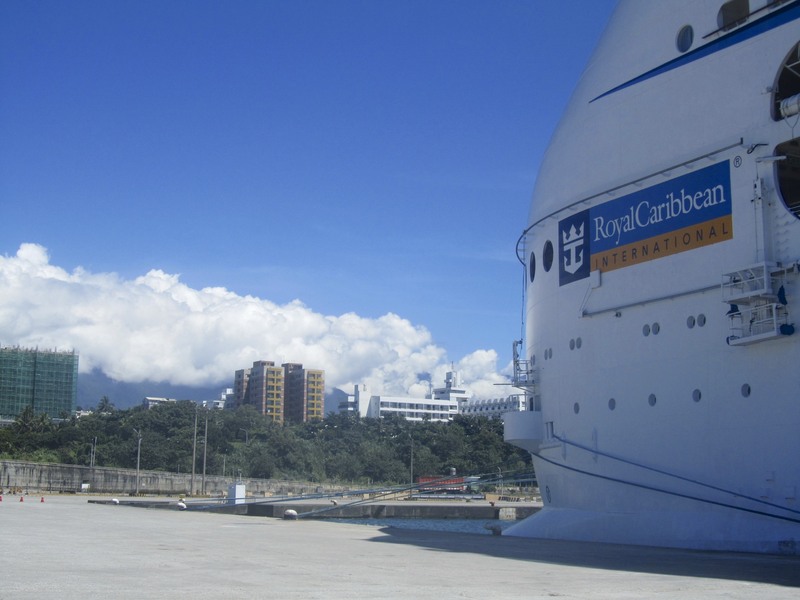 It’s in the center of the city, and is easily accessible from the port. Most days, I’ll stroll through the park before returning to the ship. It’s beautiful! 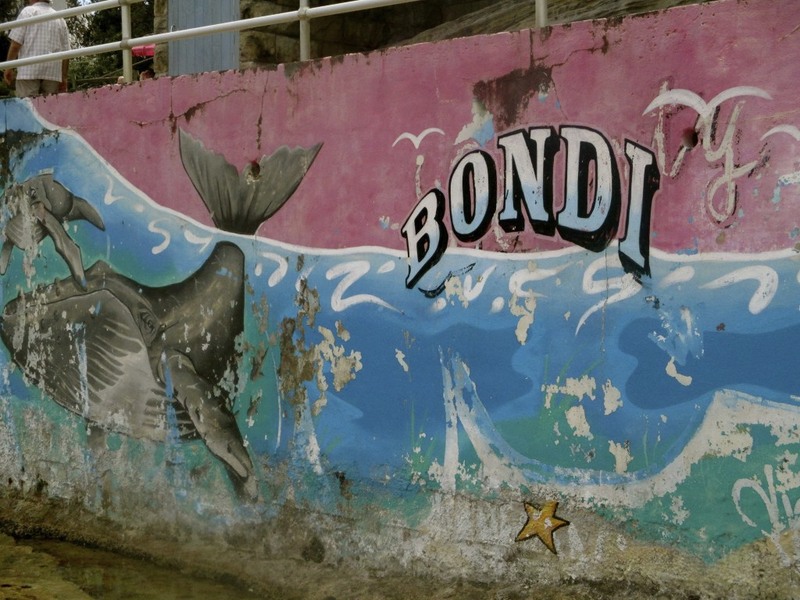 Bondi is one of two famous beaches in Sydney. It’s known for great surfing and great people watching. 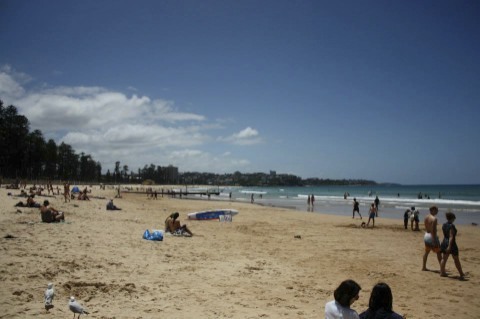 I made the journey via bus to the beach last time we were in Sydney. The weather was gorgeous—sunny and about 75 degrees. The beach was crowded but not overwhelmingly so. We found a nice place to set up camp just down the hill from an outdoor gym, meaning when the macho men needed to cool off in the ocean, we were directly in their path. What a lucky coincidence! The water was too cold for me to swim in, but I enjoyed wading in it. When we had had enough sun, we walked up the street and found a fish and chips joint. It just happened to be the #1 fish and chips spot for about 8 years. Yum! I took my fried calamari and fries to go, and we had a picnic in the grass. The outing ended with a bit of souvenir shopping and a scenic bus ride back to the port. 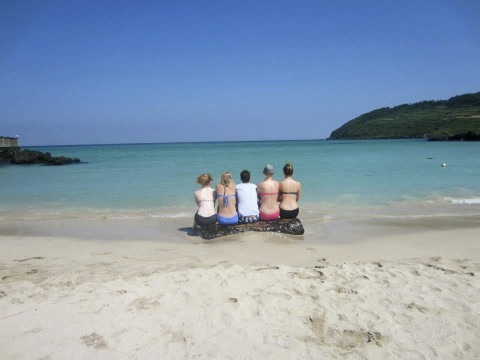 Although I ended up with a terrible sunburn, the day was perfect! 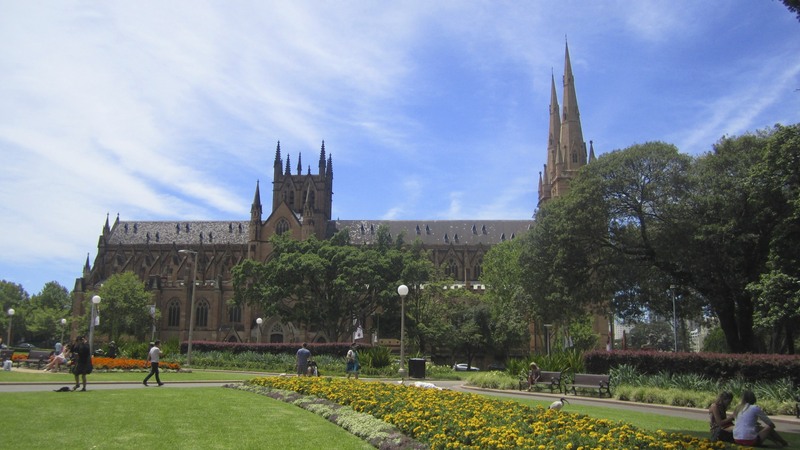 I’m looking forward to my remaining stops in Sydney. I can’t wait to see what else this amazing city has to offer! 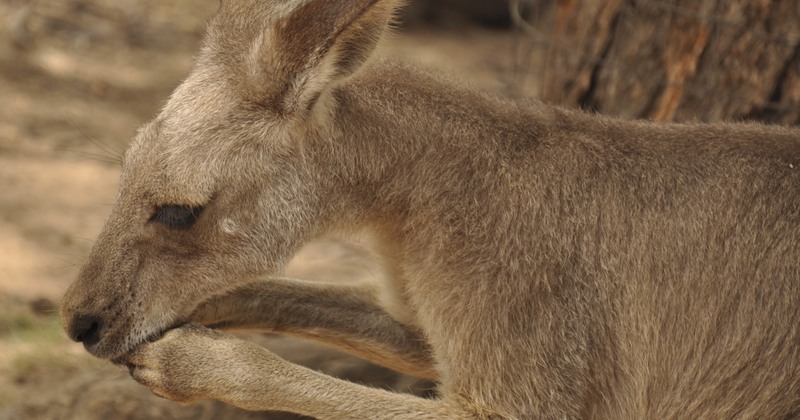 Forget Lions and Tigers… I’ve got Koalas and Kangaroos! 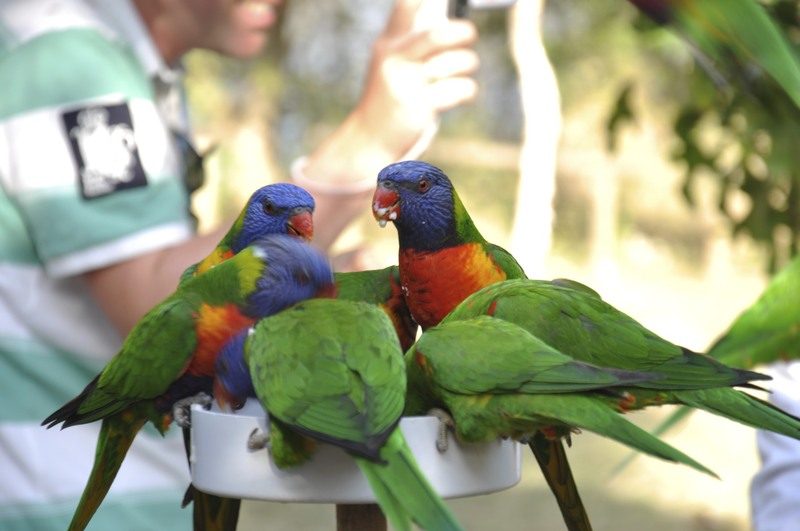 In Brisbane, I joined a crew tour to Lone Pine Koala Sanctuary. 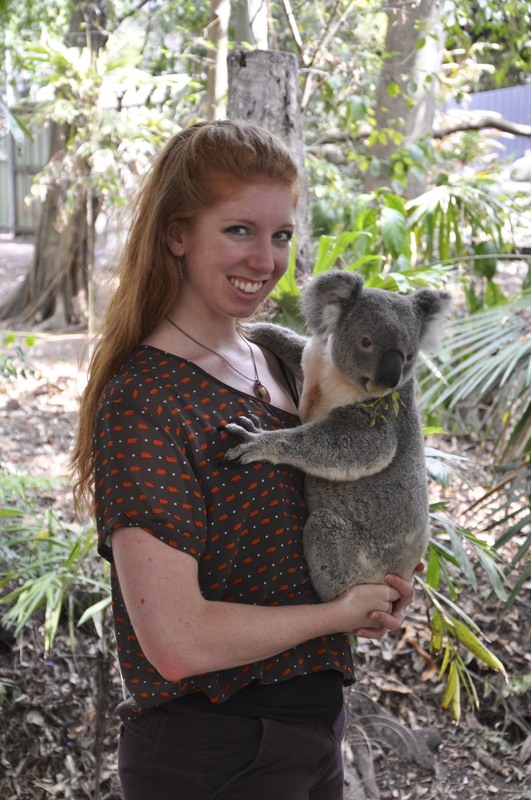 I signed up for the tour just to hold a koala, but ended up doing so much more! My first stop at the sanctuary was a large field full of kangaroos and wallabies. 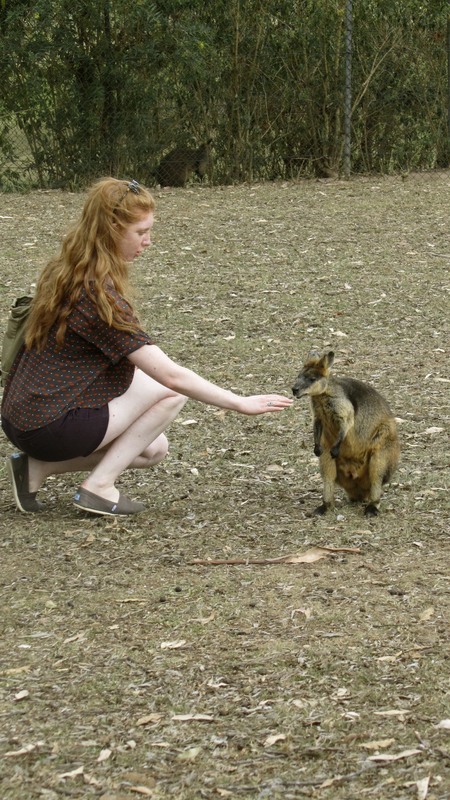 I fed some of the kangaroos, and was able to pet a wallaby. 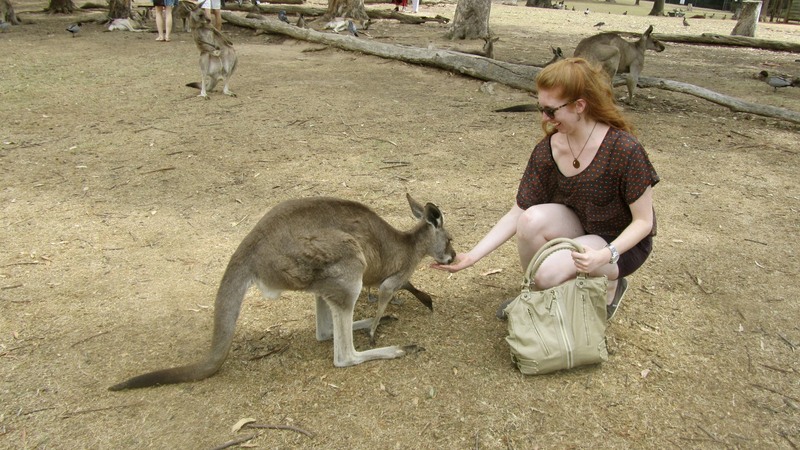 I loved seeing the kangaroos hop around, though they usually walked on all fours. They have very short arms, so they looked rather awkward walking! Next, I watched a short presentation about Tasmanian devils. The small animals are kind of cute, but they are disgusting little things! I was also able to see platypuses, wombats, and dingoes. The sanctuary had koalas of all ages. There was a Retirement Home, Kindergarten, and a Bachelor Pad. 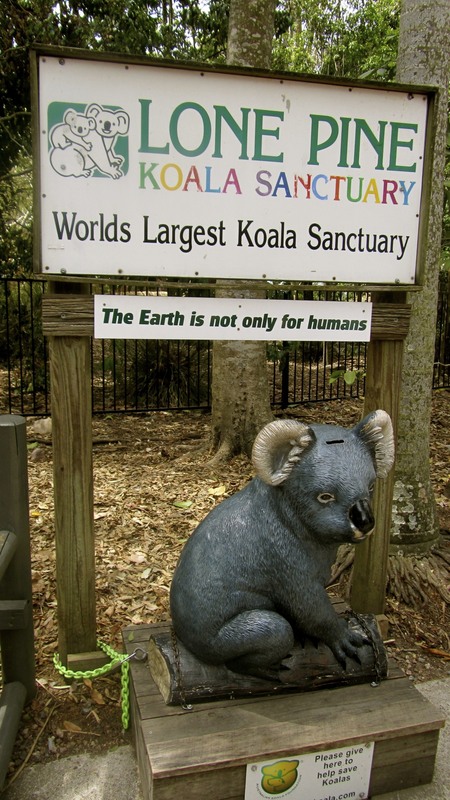 My favorite place was the Koala Cuddling area. I was able to hold a sweet little guy and pose for a few photos. Although his fur was soft, his rear end was hard and callused. 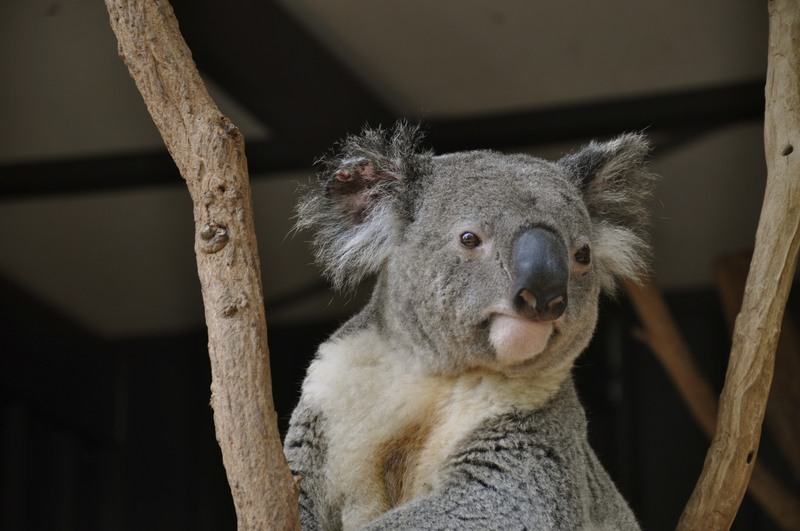 He was eating a eucalyptus leaf, and he smelled like the plant. Considering I have a eucalyptus allergy, I was very glad I loaded up on allergy meds! 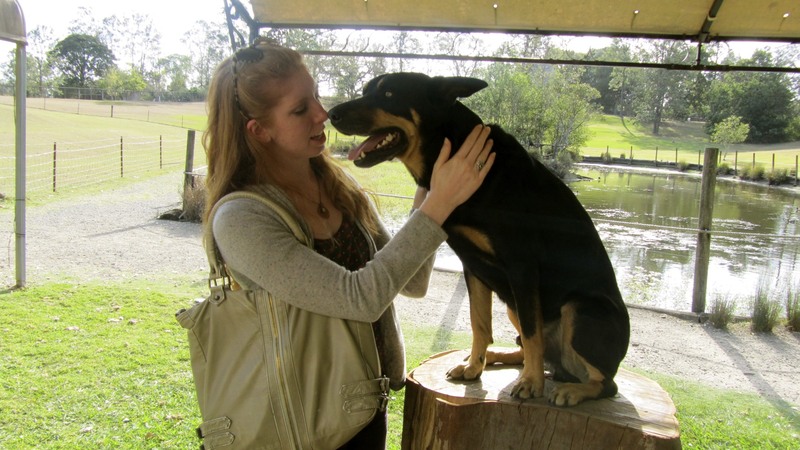 I caught the end of a show about sheep shearing, and got to play with a sheep dog named Rex. 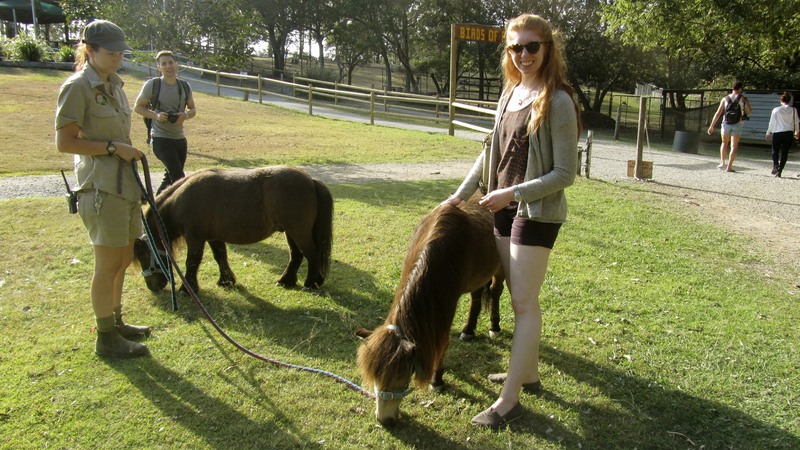 While walking back to the entrance, I came across a little pony and a bird feeding area. Although the birds were beautiful, I hated having so many of them flying around my head. When a bit of droppings landed on my shoe, I ran out of there! We were supposed to stop downtown to shop, but ran out of time. 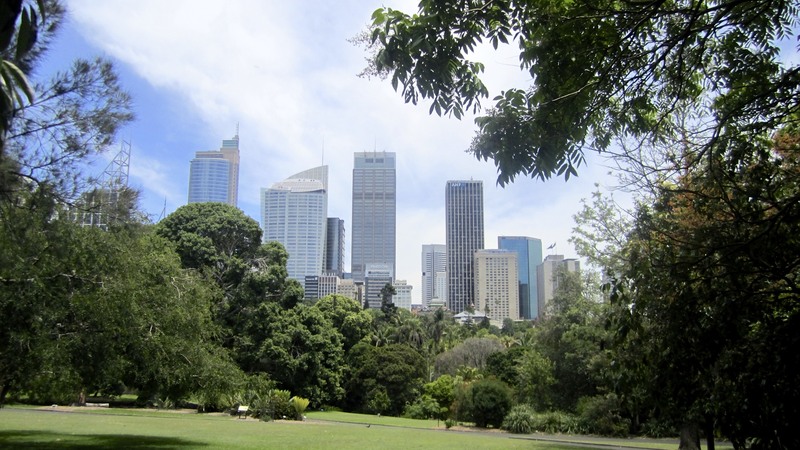 Although I didn’t get to see the city, I thoroughly enjoyed my time in Brisbane! 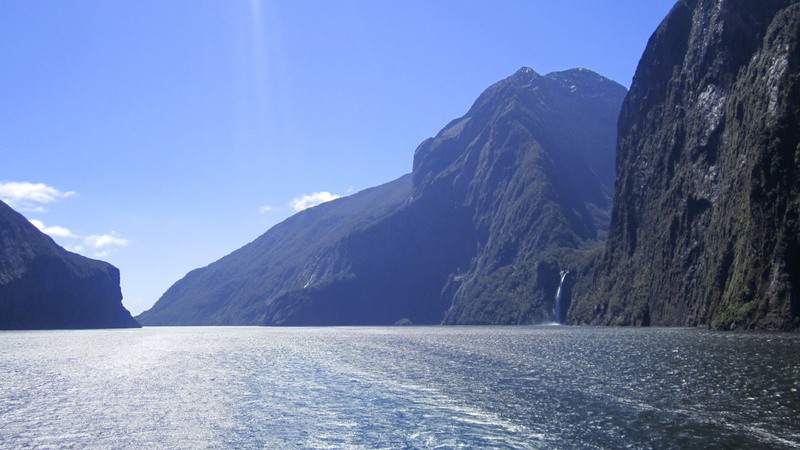 Up next, New Zealand! After months in Asia, we have now moved on to Australia season! Our first port was in Darwin on Halloween. A few friends decided to take it easy at a nice public pool near the ship, since we were all a bit sleep deprived after the Halloween party the night before. 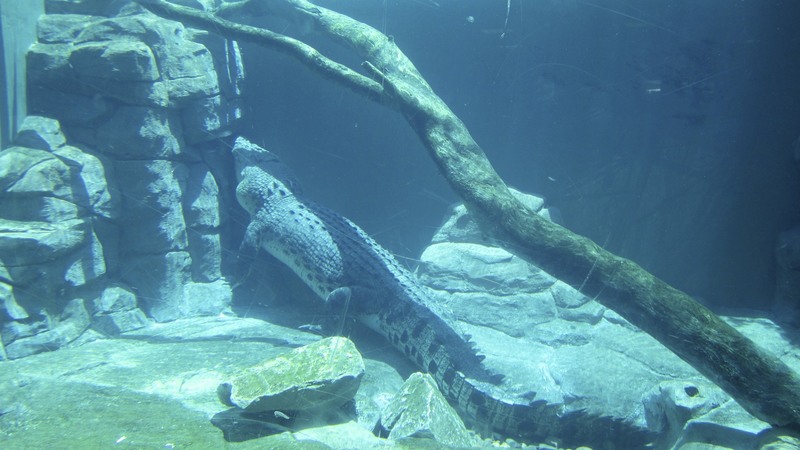 I opted to go into town and visit Crocosaurus Cove, a zoo of sorts, full of crocodiles! There were crocs of all ages and sizes. I was able to poke my head up through a glass dome and be face to face with some babies. 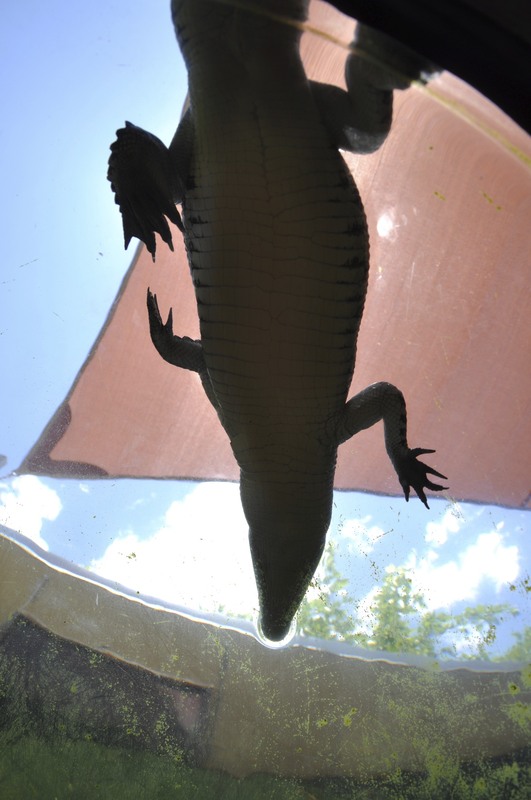 I walked under a massive crocodile swimming in a tank, but chose not to go in the Cage of Death, a glass tank that would put me in the water with him. One of the most exciting parts of the day was feeding some of the young crocodiles. 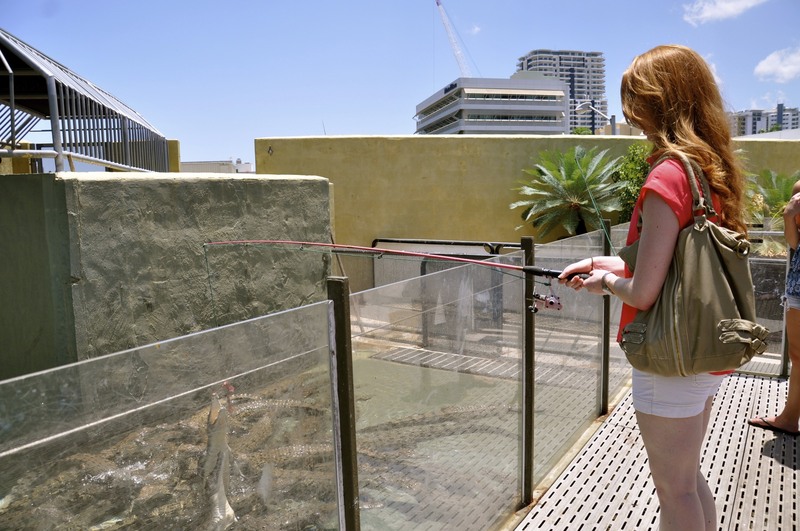 I dangled a fishing pole with ox heart over the glass wall of a small platform and waited, momentarily, for the crocodiles to jump up and get it. I shrieked quite a bit, but in retrospect, it was pretty cool. 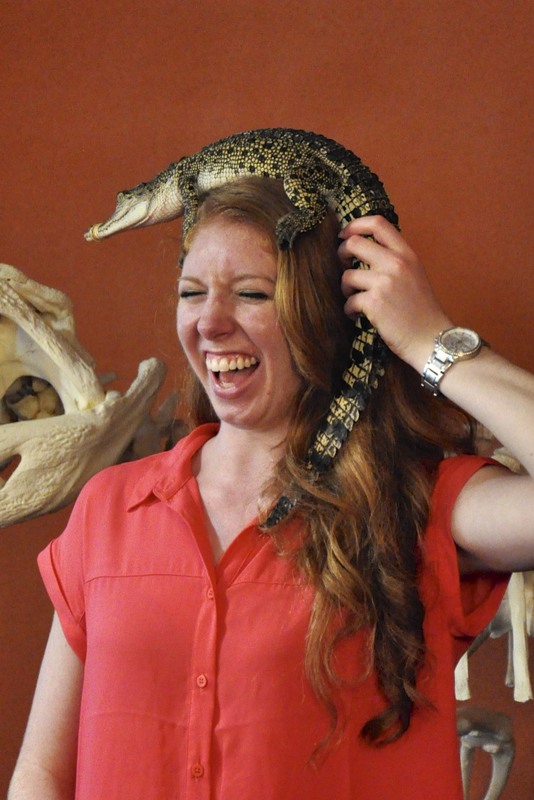 The other terrifying but awesome experience was holding a baby crocodile named Fuzzy. One of the employees guided me through a photo shoot with him. I put him on my shoulder, draped him over my head, and even gave him a little kiss. Even though his mouth was held shut with a rubber band, I was uncomfortable with his face so close to mine! We ended the day with lunch at a pub and a bit of shopping, then went back on board to catch up on sleep!